RIVA PALACIO, Mexico — On the edge of a high plain fringed by craggy sandstone hills, Johan Friesen’s small farm is a testament to the rural providence of his Mennonite people. Neat fields of onion, soybean and yellow corn stretch behind his concrete and adobe house. In the farmyard, a few dozen cows stand in a corral, ready for milking, and a canary-colored reaper awaits repair. But beneath this valley of orderly farms in the center of Chihuahua State, the picture is less than serene, officials and farmers say. Underground reservoirs have been drained by thirsty crops, like corn, that are the mainstay of the Mennonites’ success, they say. Competition for groundwater — which officials have warned could run out in 20 years — has strained relations between the pacifist, Low German-speaking Mennonites and other farmers and, on occasion, incited violence. 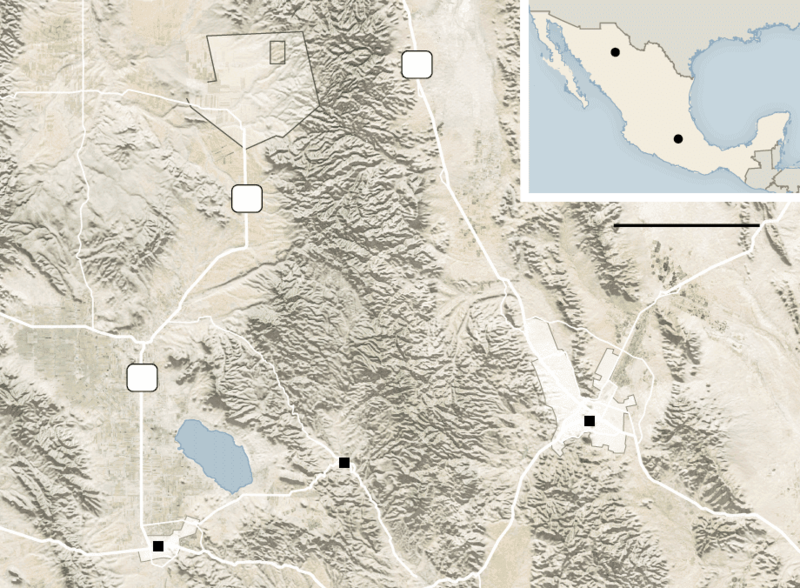 As California guzzles groundwater and Saudi Arabia rents land in Arizona because its own aquifers are depleted, Chihuahua is a study in the costs of overusing a resource and the tensions that flare as it becomes scarce. Mexico will go to the global climate change conference, which begins on Nov. 30 in Paris, with one of the world’s most ambitious laws for curbing emissions and a keen sense of the effects of a changing climate: severe droughts, erratic rains, floods and hailstorms. 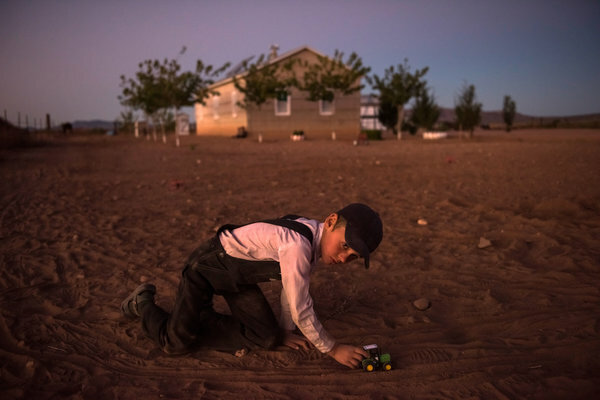 In Chihuahua, nearly a century after the Anabaptist Mennonites migrated from Canada and transformed this valley into a lush carpet of crops, hundreds are trading the land they call home for one where land is cheaper and water is more plentiful. 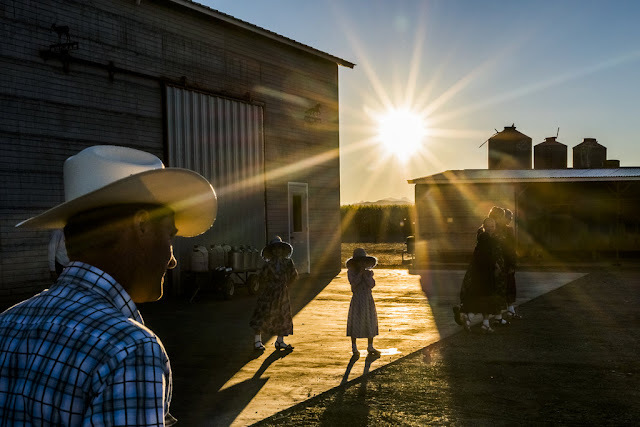 Santa Rita, in Mexico’s Mennonite heartland, is a colony of one-story, pitched-roofed homes, clipped lawns and straight roads — a world away from a typical Mexican village. On a recent Saturday, perhaps the loudest noise was that of a lawn mower, steered by a young woman wearing a long dress and a straw hat. For all their good husbandry, though, Mennonite farmers have been prodigal consumers of groundwater, experts said. “Water has been a source of wealth in Chihuahua, and while that wealth lasts, people are not thinking about how much they are using,” said Arturo Puente González, an agricultural economist. Still, it was “very unfair” to blame the region’s water problems on the Mennonites, said Kamel Athié Flores, the head of the Chihuahua branch of the National Water Commission, known as Conagua, which regulates supply. He pointed to city dwellers and big non-Mennonite farms that produce apples and pecans — also thirsty crops. Cornelius Banman, a farmer from the Manitoba colony, about 50 miles south of Santa Rita, said nobody complained about the pecan farmers because they were of Mexican descent and, unlike Mennonites, who do not vote, had political clout. “They look on us as foreigners,” he said. 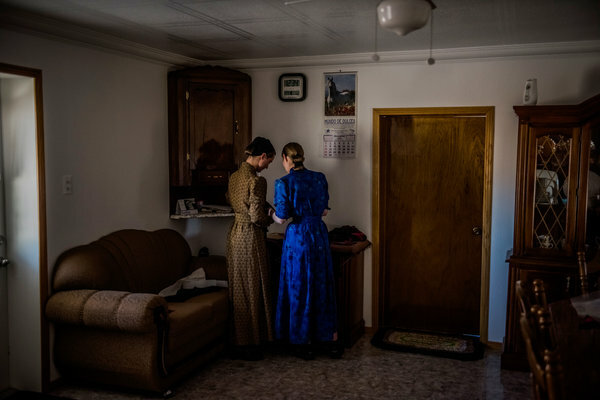 The Mennonites live apart in their colonies and rarely marry outside, though they pay workers above-average wages. The most conservative eschew electricity and other devices that would link them to the outside world. Others use WhatsApp, a messaging application, and research land prices on the Internet, but they discourage distractions like Facebook. 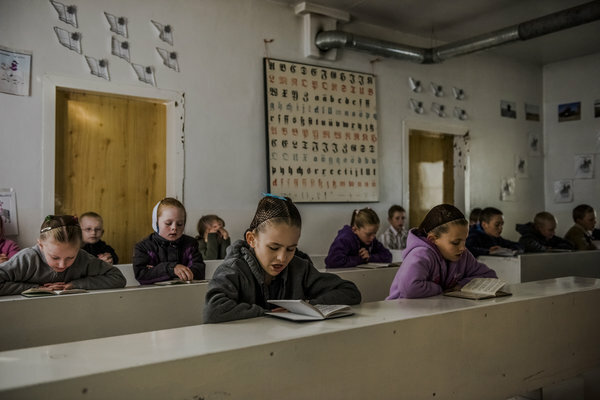 The women speak little Spanish, and children are raised for a “wholesome” rural life, attending Mennonite schools until eighth grade. “I can see a point, in my lifetime, when the water here is finished,” said Luís Armando Portillo, a farmer who is the president of the Technical Committee of Groundwater in Ciudad Cuauhtémoc. A group of activists known as El Barzón has campaigned to shut down illegal wells and break dams on Mennonite land. Joaquín Solorio, a Barzón activist whose parents had to sell their cattle after their well, next to a Mennonite farm, dried up, said the group had lodged complaints about illegal water use. “It’s not just Mennonites,” he said. Defending water rights can be deadly in Chihuahua, where links between organized crime, mining and farming are murky. Alberto Almeida Fernández, a former politician who protested against illegal wells and against a Canadian mining project, died after he was shot in February. Two other activists, Mr. Solorio’s brother and sister-in-law, were killed in 2012. The police have yet to solve the crimes, and members of Barzón — three of whom have state police escorts — discard a Mennonite connection. But the deaths have added to tensions. “You think about buying land, and then you think, ‘I don’t want problems,’ ” said Johan Rempel, a leader of the Manitoba colony who is looking for land overseas for about 100 families. In some ways, the Mennonites’ migration is another turn of history. Those who moved to Mexico from Canada had fled persecution in Russia. Over the years, some settled in other parts of Mexico, and conservative groups broke from the Mexican colonies and moved to Bolivia, Paraguay and Belize. But with younger farmers facing new pressures — difficulty getting permits for wells, and soaring costs for irrigated land — some predict that they will look to find land elsewhere. About 50 of the 300 families in Mr. Friesen’s colony, Santa Rita, will move to San Luis Province in Argentina, said Abraham Wiebe Klassen, the head of the colony. Other colonies have looked at land in Russia and Colombia. The perception that Mennonites are more attached to their culture than to their country irks other farmers. Abraham Wiebe Wiebe, who was preparing to leave for Argentina with his wife and children, disagreed. “I’m 100 percent Mexican,” he said. Sitting in his kitchen as his wife rolled out cookies, Mr. Wiebe, 49, said he had “lost a lot of sleep” over leaving. “But our children have no future here,” he said. Several Mennonite farmers said they were skeptical that Chihuahua would run dry. Water was God-given, one farmer said, and only God could take it away. Others are less sanguine. Nicolas Wall, a Mennonite who farms 700 acres of corn with his brother, worries that there will not be enough water for his children to farm. The real problem lies with the government, farmers and experts said. The water commission is a “den of corruption,” Mr. Klassen said, a place where officials take years to process paperwork and sell well permits for thousands of dollars. Mr. Friesen will trade such worries for the challenge of starting a new life on the 250 acres he bought in Argentina. Those already there have built some houses and bought cattle, he said. Three babies have been born. Hard as it would be to leave “the homeland,” Mr. Friesen said, his five children would “put down roots” in a new place. Standing in the dairy barn as his wife, Gertruda, milked cows, he smiled. “We’re going to create exactly the same world there that we built here,” he said. A version of this article appears in print on November 17, 2015, on page A6 of the New York edition with the headline: Mennonite Farmers Are Leaving Mexico, and Competition for Water.